Anyway, back to the BBQ wings! ; ) These were really easy to make and done in a jiff. They tasted awesome, but that’s never a problem. 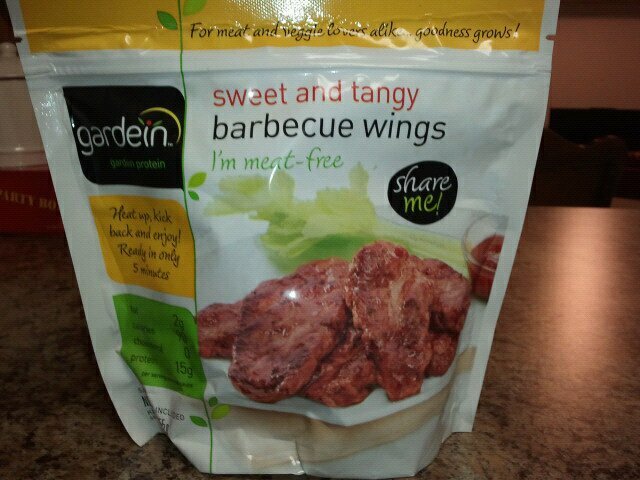 Gardein does a really good job with all their seasonings and sauces. I just wish they’d make the texture on these things a little less dense! 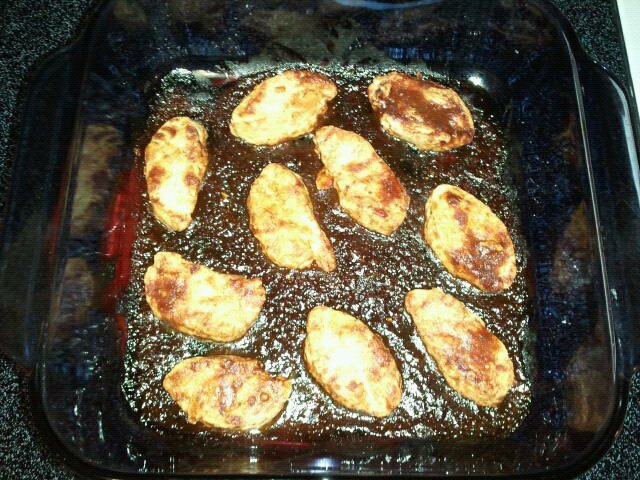 I made them in the toaster oven, and ate them straight outta the pan with a fork and knife. I know, I know, but cooking for just me is not all that inspiring. It’s more like, look, I fed myself, done.